To learn more about the cosmetic dentistry, restorative dentistry, family dentistry, or the technology that we utilize at our Lakewood, CA dental practice, please give us a call soon. Our personable team makes answering your questions and providing high-quality care our highest priorities. Bonding is a procedure that can effectively restore the beauty of your teeth. A simple procedure, bonding can repair minor dental flaws, such as surface decay or small chips in the teeth. To learn more about bonding or cosmetic dentistry, call our Lakewood, CA dental practice soon. A dental bridge is a permanent dental appliance that is used to replace one or more missing teeth. 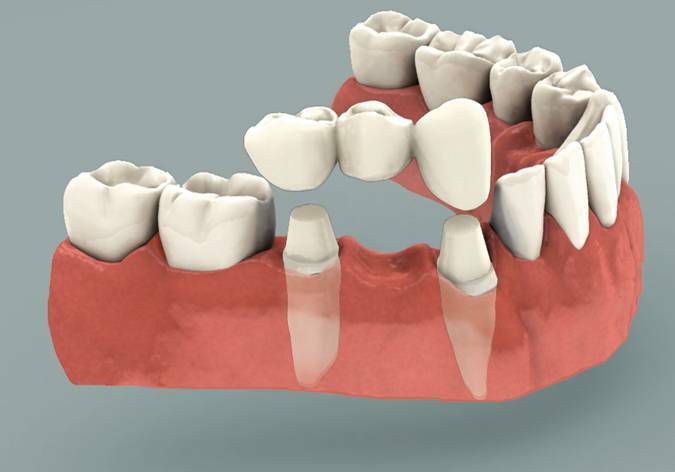 When in place, a bridge can be a natural addition to your smile and enhance the function of your mouth. Call iSmile Dental Care in Lakewood, CA today to schedule a consultation with our dentist and learn more about dental bridges. CEREC technology is an amazing dental advancement that allows our dentist to create a custom crown or veneer in just one appointment at our Lakewood, CA dental practice. With CEREC technology, we have the ability to design, scan, and mill your custom crown or veneer in just two hours. If you would like to learn more about same-day dentistry, please call us today. We’ll be happy to help you learn more about the incredible CEREC technology. Dentures are one option for those who are missing teeth. Dentures are removable appliances that replace missing teeth and help to keep the mouth in good form. For more information on dentures or your options for replacing missing teeth, please give our Lakewood, CA dental practice a call soon. 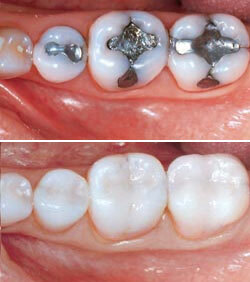 Dental implants are perhaps the most effective solution for those who are missing one or more teeth. 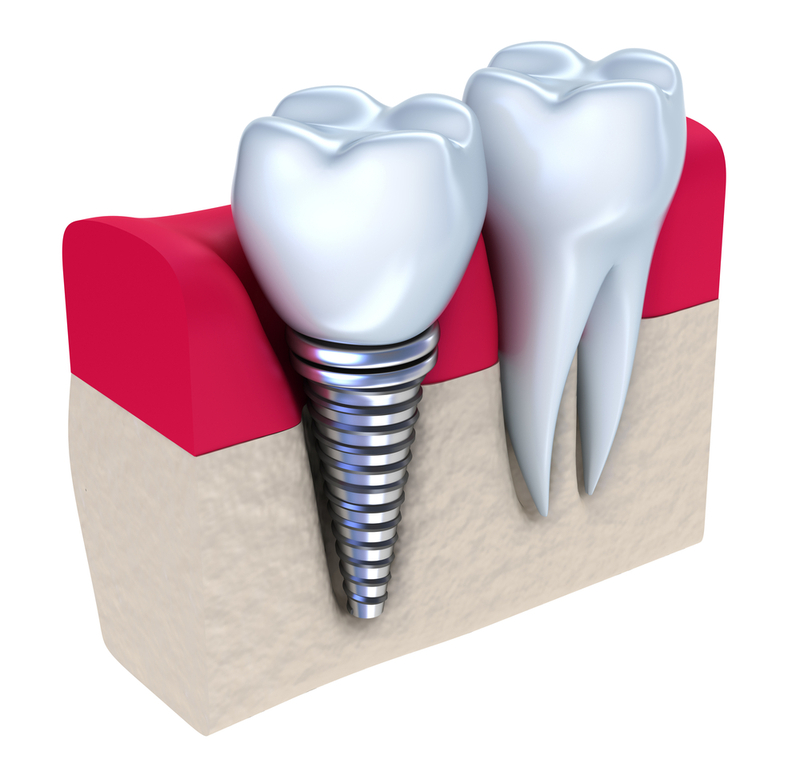 Implants act as the replacement of both the root and crown of the tooth and can restore stability, resilience, and strength to the mouth and jaw. The dental implant process can take several months and multiple appointments at our Lakewood, CA dental practice to complete. 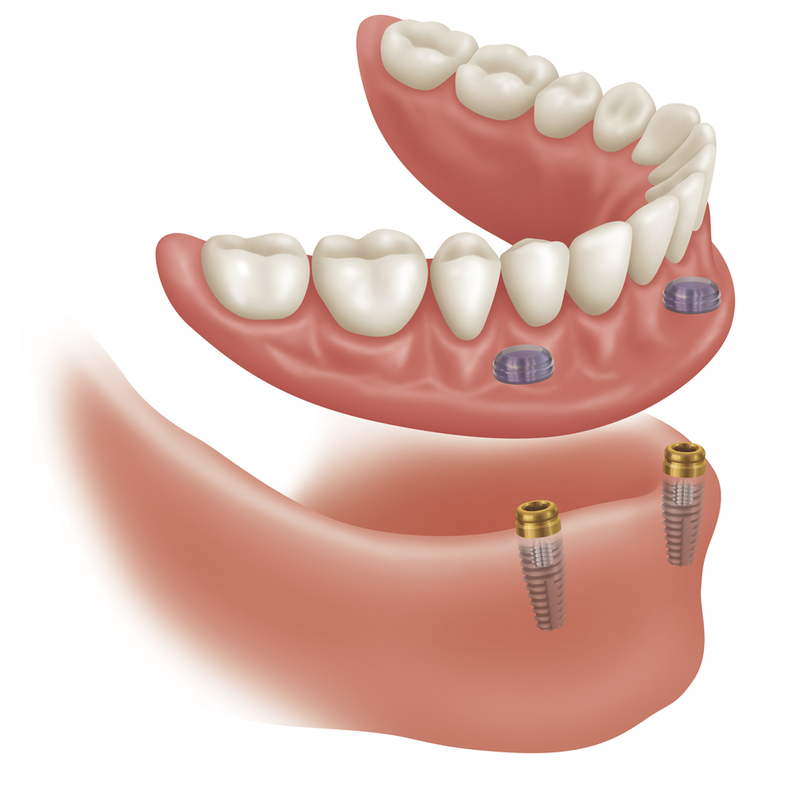 Once in place, your dental implants will give you the beautiful, functional smile that you’ve been missing. Call us today to schedule your implant consultation with our dentist and begin learning more about implant dentistry. 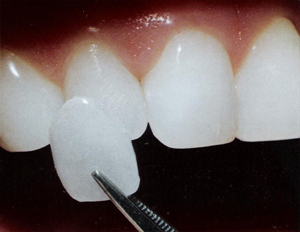 Inlays and onlays are placed by the dentist to repair teeth with extensive fracture or decay. The inlay or onlay will act as the missing part of the tooth, effectively becoming a natural addition to the tooth. For more information on inlays or onlays, call iSmile Dental Care in Lakewood, CA today. To help improve the brilliance of your smile, our dentist can provide one-hour teeth whitening. 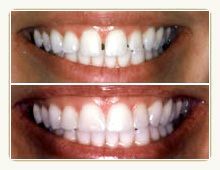 Using a highly-concentrated bleaching gel, we can effectively lighten your teeth several shades. Professional one-hour whitening at our office is much more effective than unreliable over-the-counter bleaching products. Call iSmile Dental Care in Lakewood, CA today to schedule your whitening consultation with our dentist. 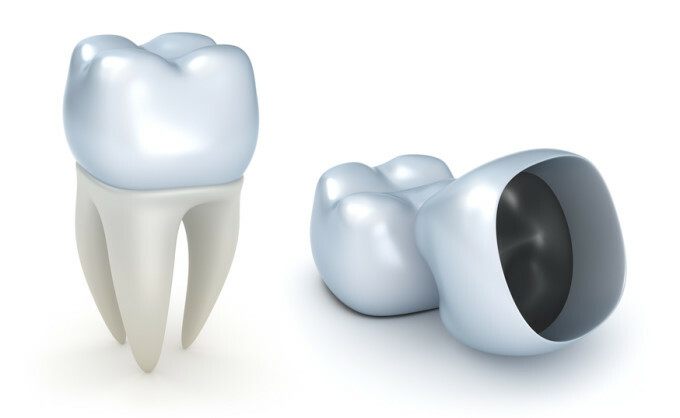 Teeth that have a significant amount of decay or damage may require one of our porcelain, non-metal crowns. 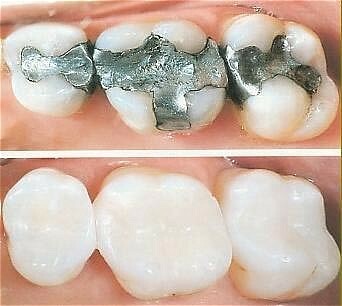 A crown (or cap) is a restoration that completely encases a tooth, effectively restoring it to an ideal size and shape. 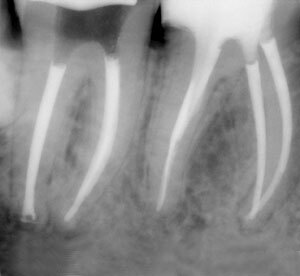 Crowns are also often placed on teeth that have received root canal therapy. If you are interested in learning more about porcelain crowns, restorative dentistry, or aesthetic dentistry, please call our Lakewood, CA dental practice. Tooth-colored fillings (or composites) are placed by the dentist when a tooth has minor fractures or decay. The color of the filling can be matched closely to the color of your natural teeth for an aesthetic result. Call iSmile Dental Care in Lakewood, CA today to learn more about your aesthetic treatment options. Veneers are thin, tooth-colored shells that the dentist bonds to the front of the teeth. Veneers are a great way to quickly achieve a radiant smile. When in place, veneers can correct misshapen or crooked teeth, teeth that are severely stained, large gaps between the teeth, or wear/chips on the teeth. Call iSmile Dental Care in Lakewood, CA today to learn more about veneers and cosmetic dentistry. 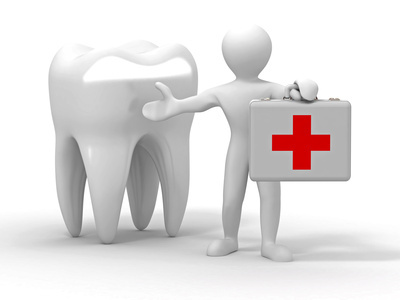 At iSmile Dental Care in Lakewood, CA, we understand that dental emergencies happen and that they are never convenient for you, which is why we provide emergency care. When something unexpected happens, it’s important not to panic. Just call or visit our office as soon as possible and we will do our best to see you as soon as possible and relieve your pain. A tooth extraction is performed when a tooth has extreme damage or decay. 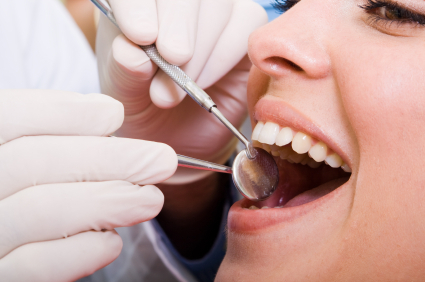 Extractions are often our last resort when attempting to maintain your oral health. If another treatment can be performed to restore the health of your mouth, the dentist will recommend that treatment instead. If you or your child is suffering from pain in or near the teeth, please call our Lakewood, CA dental practice soon to schedule your appointment with the dentist soon. 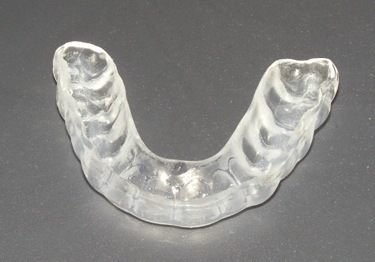 To help protect your teeth against preventable damage, our dentist can create custom night and athletic mouth guards. Athletic mouth guards are used to protect your teeth from sports injury or accident while night guards can protect the teeth from night-time teeth grinding (bruxism). To schedule your next check-up with the dentist and learn more about preventive dentistry, please call our Lakewood, CA dental practice soon. To help our nervous patients relax, we can provide nitrous oxide (laughing gas) sedation. 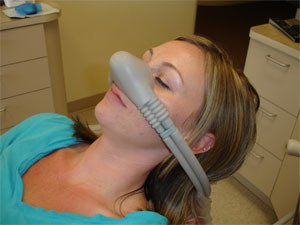 Nitrous oxide is a form of sedation dentistry that is quick, effective, safe, and convenient. While under nitrous oxide sedation, you will remain conscious but less sensitive to treatment. For more information on sedation dentistry or your other options for increasing the comfort of your visit, give our Lakewood, CA dental practice a call soon! 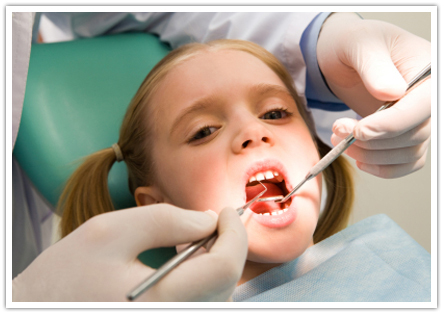 iSmile Dental Care is proud to take care of the smiles of your children. When you and your children visit our kid-friendly dental practice, you children will learn effective preventive dental techniques from our friendly dentist and team. When children learn to add these techniques to their daily routines, they are creating a routine that will ensure they have healthy, beautiful teeth for the rest of their lives. If you would like to learn more about pediatric dentistry, or to schedule your child’s next dental appointment, please contact our Lakewood, CA dental practice today! Our dentist and dental team are not only concerned with the health of your teeth, but also of the health of the bones, tissues, and gums that support the teeth. To help protect you against periodontal (gum) disease, we provide deep cleaning services, including scaling and root planing. If necessary, we can also use local antibiotics to reduce gum pockets caused by periodontal disease. To learn more about periodontal disease or your treatment options, please call our Lakewood, CA dental office soon! If the nerve or pulp of the tooth becomes infected or starts to decay, our dentist may perform root canal therapy to restore the tooth. During the procedure, the dentist will remove the infected tissue and, in most cases, place a porcelain crown over the tooth for protection. We invite you to call our Lakewood, CA dental practice soon to learn more about restorative dentistry and how root canal therapy can improve your oral health and function today.